Members attending the annual meeting unanimously approved a motion by Commodore Biff Martin to allow the sailing of DF95 at Redd's Pond. It was decided to have them participate on Sundays and Thursday evenings with the CR914 fleet. A seperate start for each class will occur as well as the DF95 sailors being responsible to score their own races. 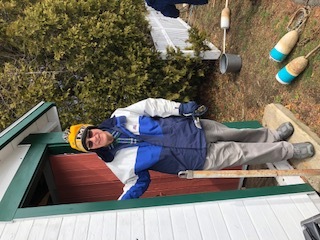 1) John Snow email (jsnowj@comcast.net) or 978-594-8521 for VMYG V36 Nats (10/18), VMYG VM Nats (10/19) and the MMYC Bithell VM Cup Regatta (10/20 AM). 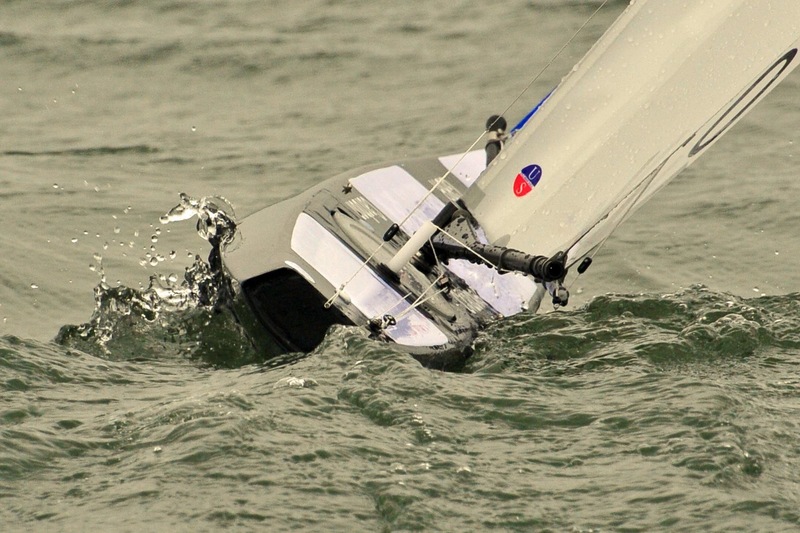 2) Biff Martin email (biffmartin6@gmail.com) or 978-828-9765 for the AMYA American M Region 1 Regatta (10/20 PM). If contact by skippers NLT October 17 with RDs above, skippers can pay entry fee and verify their model designs at pond-side same day. In addition, AM Region 1 and Chowder Race regattas include US VMYG VM and V36 designs. The Annual Marblehead Model Yacht Club (MMYC) Chowder Cup Regatta is being held on October 21, 2018 as the last event in the 2018 Race week schedule. 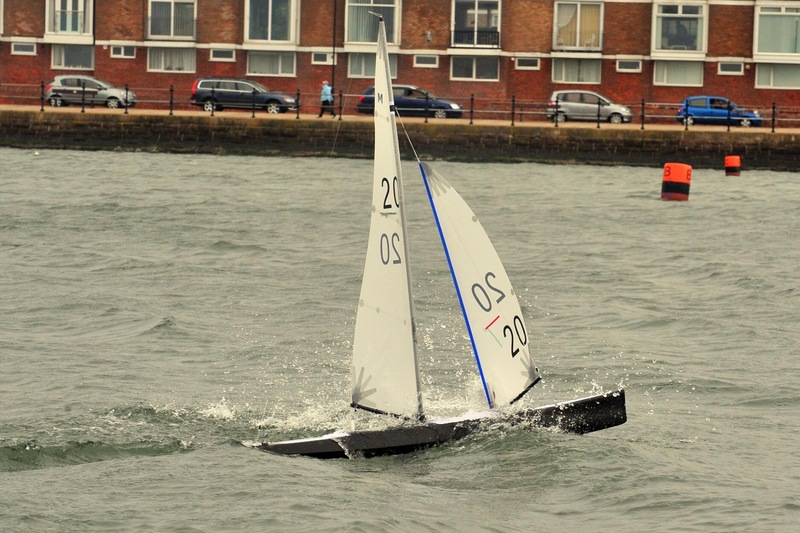 The Chowder Cup is open to any AMYA class RC sailboats except the very large ones I.e. Wheelers, J boats etc. The fleet is separated into 2 divisions ( under 40" & over 40" LOA). Separate starts for the divisions are used. The under 40" will start first & race 3 races, then the over 40" division will start & race 3 races. This sequence will continue thru the day. Skippers my chose to race in both divisions for the one registration fee. Registration is $25. Note the request in the NOR for your notification of attendance is due by October 17, 2018. Fee can be paid on arrival at the pond. An amended NOR for the regatta is attached for your reference. Please use this corrected email for RED highlighted NOR Change involving addition of AMYA AM Region 1 Regatta plus an earlier period for our US VMYG Bithell VM Cup Regatta Saturday (10/20) during Race Week at Redd's Pond. We are adding 2018 American M (AM) Region 1 Championship on 10/20 Saturday PM as part of MMYC/US VMYG Race Week activity. Talking with Biff, we agreed to this as the MMYC make-up event for earlier 2018 AM Region 1 Regatta cancellation. Per NOR below, AM Regatta 12:45-4:15PM Saturday; Bithell VM Cup Regatta 8:15-11:45 AM. I am also still eliciting volunteers for our Race Week's activities. Pond Sign-up with $15 fee on Oct 20 to Biff Martin as RD. Because of Pond and weather conditions, we have only sailed the Duncan Dana Cup. Now we can finally resume sailing. Using currently available dates, I have made up a schedule. It involves two Saturday afternoon races which are joint races with the American M.
Race 3 Sept. 8 Saturday afternoon 1;00, Joint with American M.
Race 6 Oct 6 Saturday afternoon 1:00. Joint with American M.
The M Class Region 1 Regatta will be sailed on Sunday September 16 starting at 12:00. Sailing will continue to 3:30 or 4:00. To minimize the entry fee,no lunch will be served. It will also be counted in the M Class Season's Championship. Updated NOR for reference attached. "In the two weeks since we last sailed a severe algae problem has developed. Even the 914's are having problems. The pond is not currently raceable by modern M's. As a result the Dexter Goodwin Cup race this Sunday is being postponed. There will be no M Class Racing this Sunday. 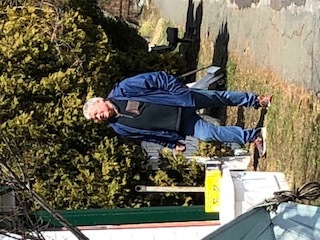 Five hardy sailors worked to get the marks in, trim brush etc along the walkway and get the racing support materials ready for the start of the racing season tomorrow at 10:00 by the CR 914 class. We now have a flag pole at the club house and will officially open the season with the club flag raising at 10:00 tomorrow. Looks like weather will be okay . Thanks to Tom Hayden, Jack Woods. Bill Hooper, Biff martin for their time and effort. 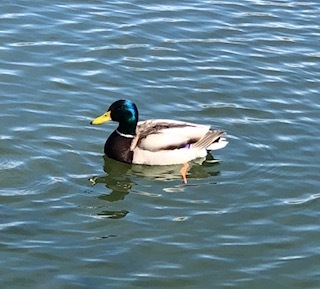 A pond cleanup work party has been Scheduled for Saturday, April 7th beginning at 10:00 AM; Length of time depends on the number pf people that attend but estimated at 2 to 4 hrs. 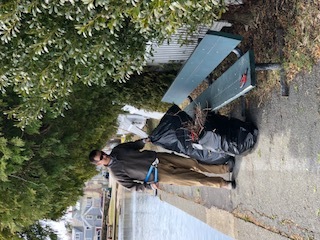 The work entails raking, removal of trash, animal droppings, trimming of any plant growth that impedes use of the walking areas and paths, removal of reachable trash in the pond, clean up and installation of the racing marks, getting the rescue boat cleaned and in position for use, Cleaning out the clubhouse area and organizing materials and equipment to support the racing which starts on the 8th, etc. Since we all benefit from having the pond in good shape, we hope that you will come to the event for whatever time you can commit in order to share the workload which will shorten the time for us all! Should you be able to come, yard tools, Rakes, Brush and branch/plant clippers, shovels, etc are needed. We Look forward to seeing you at the Pond on Saturday. April 7th at 10:00 AM ! Commodore Biff Martin announces that the 2018 CR914 Nationals will be hosted by the Marblehead Model Yacht Club on August 24, 25, and 26. This is a large undertaking as well as an opportunity to showcase our club. The club will need the help of many members to put on a first class regatta and welcomes input and ideas now, as the planning commences. An American Marblehead Class web site has been established and it is in it's infancy. class report in the magazine & more details to be provided. The 2017 traditional fall Chowder Fest Regatta will take place on Sunday, October 22nd, 2017. starting with Skippers meeting at 9:15 AM witth races ending at 3:00 PM. This event is open to all AMYA model classes except for the large size boats such as the J boat, Wheeler , etc. The fleet is divided into two fleets ( Under 40" & Over 40") for racing. The Registration fee is $25 which includes a lunch of Home Made Clam Chowder, baked beans and franks, beverages and desert for lunch. Lunch for guests is an additional $10 each if desired. This is a fun regatta and a great way to wrap up the season. For those of you who race Vintage Marblehead boats, the Annual Bickell Cup regatta is also being held the same weekend on Saturday. October 21st. A separate NOR has been sent out by John Snow. Should you not have received that NOR, let me know and I will send you one via Email. The Registration form for the Chowder Cup is Attached. The US VMYG 2017 V36-VM National Championship Regatta venue has been changed to Redd's Pond in Marblehead given excessive weeds problem at Sandy Pond, Nashua. Event will still be held on July 14-16 weekend. Thus, it will now be co- sponsored by US VMYG and the Marblehead MYC, given full support from Commodore Biff Martin. We already have 10 skippers signed-up, with seven from outside New England. As such, we now need our local cadre of skippers to submit the attached NOR by July 12 which has been revised to reflect the Redd's Pond venue. Note: Redd's Pond has minimal weeds and is due to be treated shortly to address weeds for the next two-year period. 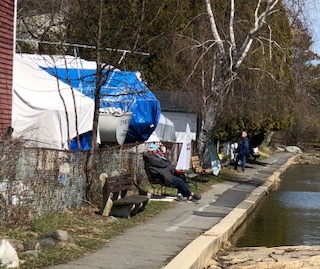 For those having lodging reservations in Nashua area, the NOR has the Marblehead Chamber of Commerce website to assist in identifying Marblehead area accommodations. I also plan to send out hardcopy list of lodging establishments tomorrow after checking with the Chamber of Commerce office today. US VMYG 2017 V36 - VM National Championship Regatta will be held July 14-16 at Sandy Pond in Nashua, NH. 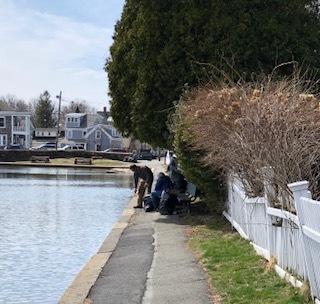 It is co- sponsored with US VMYG by the new Nashua MYC under lead of Rick Gates with pro-active support of the Nashua City Parks & Recreation Division. We do anticipate local excitement as first-ever MYC-hosted national model yachting event within the City. The NOR / Entry Package is attached having July 12 deadline for submission of skippers' entries. Note pond has sandy bottom with wade-in launching and retrieval of racing models from an accessible and path-surrounded shoreline. Thus, please consider bringing extra pair of sneakers and socks or set of short waders. There will be lunches for participants on Saturday and Sunday. Six members showed up to clear the pond of debris and to set the marks on Saturday. At the end of the day the pond was race ready and also had new windward and leeward gates installed. Thanks to Biff Martin, Jack Collins, Tom Hayden, Rick Gates, John Snow, and Jack Woods for showing up. 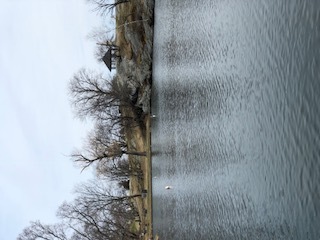 Due to the weather forecast for Saturday and the significantly improved conditions for Sunday, The Pond Cleanup Activity is rescheduled to this Sunday April 2nd at 10:00 AM. 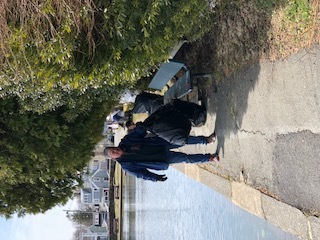 Volunteers are needed to work on the cleanup & installation of the Racing Marks, removal of trash in the pond, trimming and clean up of the areas along the walk and club house. Hope that many of you can come as the more people that come, the quicker we can get ready for the start of this years racing next weekend. 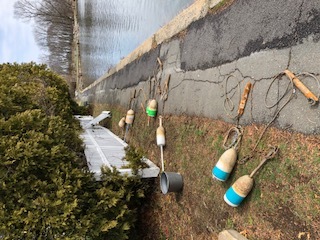 For all members and racers, it is time to clean up the pond and it's surroundings as well as to clean and install the racing buoys in prep for the April 9th 1st race for the CR914 class. In order to complete this work, Volunteers are needed to help in the pond clean up. If you have yard tools, shrub clippers or other appropriate tools, please bring them with you. the sooner the cleanup will be completed. Attached is the NOR / Entry Form for our ninth annual "Bill Bithell" Memorial VM Cup Regatta at historic Redd's Pond in Marblehead, MA. It is Saturday on October 15; Skippers Meeting at 11:45AM with racing Noon to 3:30PM. There will be single fleet of both Traditional (1930-1945) and High Flyer (1946-1970) VM designs. They will be scored separately for awards to "top three" skippers in each design category. Note: VM Club Race #7 is Saturday, October 8. It should be used as tune-up given full weekend of racing. October 15 is Bithell VM Cup followed by annual October 16 Chowder Race on Sunday, October 16, which includes VM models. This Article from the July/August Sailing World is one of the best examples and easiest explanations of who would be DSQ'd that I have seen. The two Common Situations that occur at our mark roundings in the article occur frequently during our racing. They are instructional and perhaps create a better understanding of the rules. Much longer than many of us naturally think. I am putting this out as many of our club members may be sailing in some of the upcoming major regattas at either our club or other clubs and due to the close racing, who has or doesn't have buoy room will frequently arrise. WIshing you all good sailing as we enter the latter portion of our season. Seems like the season is flying by as August is almost here. This is a listing of events both at MMYC as well as at other nearby locations for boat classes that are sailed by MMYC . This is provided for possible planning and participating by our members and for other club members who support our events. For all CR914 racers, Please note the National Championship Date has changed from OCT dates as shown on Our published race schedule. It is now scheduled for September 17-18 at Queenstown, MD. 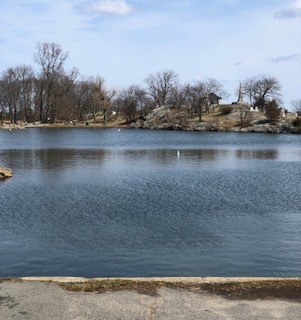 For the EC-12 class, we need at least 4 boats form our club to participate in this as 4 members from Minuteman attended the event at Marblehead. This is an opportunity to keep EC-12 class healthy at both clubs. As the founding initial members of the American M Class, we thank you for your support to make this class a reality. Marblehead Model Yacht Club is pleased to Announce the 2016 AMYA American M Class National Championship Regatta. 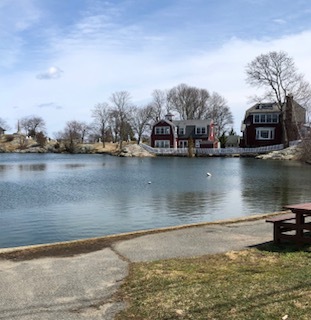 The event is being held at Historic Redd's Pond (The birthplace of the Marblehead 50/800 class) which is located in Marblehead, MA. This is the second year for the AMYA American M class which is designed to promote the racing of ALL Marblehead 50/800 models from the Vintage M's to today's versions. Participants must be Current AMYA members but do not need to be a registered member of the class. The class Membership cost is one time fee of $7 to register boats and we encourage boat owners to join as there is strength in number of members for AMYA Recognition. International M (boats designed after 1995) but must comply to class minimum hull weight and maximum draft reqts. in the American M class rules on the AMYA website. There is not an award for the overall fleet winner as the intent of this class is to encourage the sailing of all Marblehead 50/800 boats. total points for only the boats in that division. Registration information is on the attached NOR. Please note that entries are limited to 20 boats so if you are planning to come,it would be wise to register early. You may confirm your attendance by e-mail to either John Skerry scanocean@aol.com or Craig Speck speckjc@verizon.net . Then send in your registration form with payment as shown on the NOR to address indicated in the NOR. Please be sure to incorporate your sail number and boat design if you know it on the form. Look forward to seeing many of you at this event. Norm LeBlanc and others are organizing as opportunity for Thursday night practice racing and tune up for those who are interested. His note is below. If you are inteterested and plan to attend,please let Norm or Biff know via e-mail or phone. You can also reply to this message to show your interest and I will forward to above. However, forwarding may not occur in timely fashion as I don't monitor this e-mail automatically. Craig, I met with Biff this am, Thursday nite sailing for all new comers, including myself for learning and rigging tricks. I will show weather pending Thursday night and hopefully others will come to teach/train new and potential sailors to our group. Photos taken by Jim Flach at the April 23rd event have been posted to his website. They are excellent and fun to look at . The event was well attended and the photos of the variety of boats from the past are remarkable. There was a good turnout for the work party and much was accomplished. A tremendous amount of growth along the path was cut back and disposed of. All the marks are now in place and ready for racing to begin. 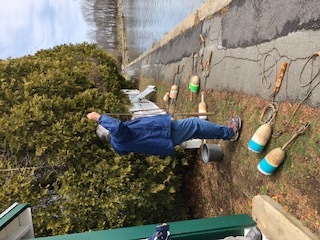 There has been response to prior e-mail about the need for assistance in getting the Pond, the racing buoys, tand the grounds that we all use when racing ready for the beginning of the Season that a work party event has been scheduled for this Saturday, the 26th of March at 10:00 AM. A big turnout will make it easier for everyone. 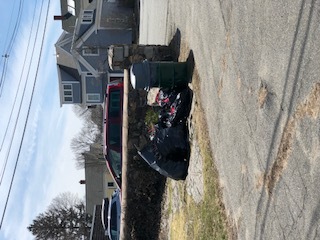 The main goals are to clean up the winter detritus and trim up the sidewalk areas, benches, trees and brush as required and to prep and install the racing marks etc. 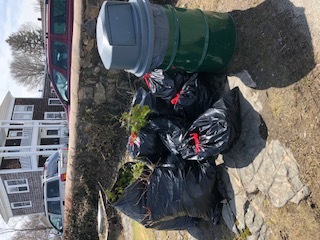 We will need small branch and med brush clippers, weed cutters, trash bags, cleaning/scraping materials for the buoys as well as booms etc and it would be great if you are coming and have any of these to bring them with you. We hope you can come as it is an opportunity to get the club up and running for the season while renewing your contact with other members. The 2016 Racing Season begins on Sunday April 3rd with the 1st race for CR914 class. In order to start racing there is a variety of things that must be prepared prior to the first race day. As the MMYC is a volunteer based organization, the success of it is dependent on member participation not only by racing but also by contributing time to assist in the work needed to maintain and prepare the club for the upcoming season. Help is urgently needed to get the race buoys checked out, cleaned and installed in the pond. 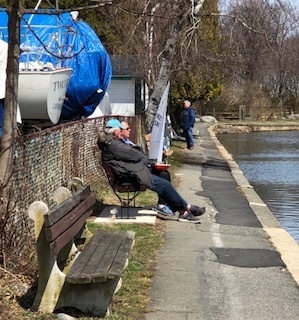 As preparing and running the race events is the responsibility of the fleet captains, we need one of them ( not the executive committee) to organize and obtain the resources to clean, prep and install the racing marks in the pond before the 1st race of the season. In addition the rowboat must be cleaned and made ready for use to install the buoys. Please contact your fleet captain or one of the contacts below, to volunteer for this first urgent need. As the season progresses there is an expectation that all members consider contributing time to assist in the activities to maintain the facilities (Cleaning and trimming the walkways, boat, clubhouse), to run or score club race days , to assist in the running ( including scoring, course monitoring if needed, etc) of the major events including the non race activities such as breakfast, lunch, beverages, dinner location if needed, setup for the event as required. There is an aggressive race schedule this year with several open events where people come form other clubs and locations. For the club to be successful and provide the level an frequency of our events, we need every member involved in the operation of the club. Looking forward to a successful year. Biff reports that the pond is 3/4 clear of ice, just a scim layer. He and Standley think there will be early March sailing. The annual meeting for the Marblehead Model Yacht Club will be held on Saturday the 16th at 1:00 pm. It will be held in the downstairs conference room of the Marblehead Library. 03/14/2015 At the annual meeting of the MMYC all the proposed changes to the club's By-Laws were accepted with some changes to the wording. Once the revised By-Laws are received they will be posted on this site for all to review. Also approved by those in attendence was the unanimous acceptance of a small historic building to be used as a clubhouse. The 12X12 foot structure was once situated near Devereaux Beach in Marblehead and was one of many used as a summer getaway. It is one of only a few remaining. The club allocated a modest amount of money to put into the structure and volunteers will be needed to get it ready. More details and pictures will follow as this project evolves. 03/29/2015 CR 914 "Red Robin #1" was not sailed due to the pond still being fully iced over. Race results can be accessed by clicking on "Racing Information" on the home page. At the bottom of the left side under "Racing Results" the classes sailed will be listed and after clicking each you will go to the page/s. Eventually it would be nice to have pictures, videos and more details for each days races. Bring a spouse, friend or offspring and have them take some pics! 05/13/2015 David Creed forwarded me a couple of pictures of his new Marblehead "Carbon Cracker." Dave is a good source for fins, rudders, and ballast. 06/08/2015:	"Marblehead Model Yacht Club is hosting the Region 1 Championships regatta on Sunday, June 28, 2015. It looks like we will be having several boats from Dry Pants Yacht Club as well as potentionally from some other clubs. In preparing for the regatta, we need to get indications from you if you are going to attend as early as possible. The Notice of Race including the registration form is attached. The fee for the regatta is $25 which includes lunch, beverages and awards. Look forward to seeing you at the regatta."